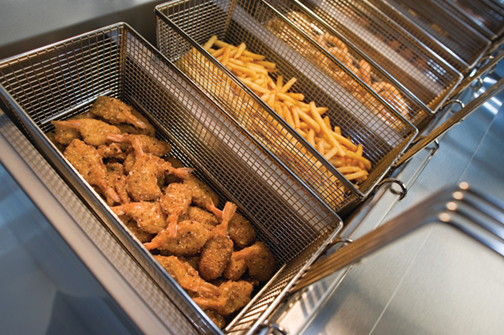 Designed to be the true workhorse in the kitchen, the Henny Penny 320 Series open fryers are among the most reliable and energy efficient in the business. 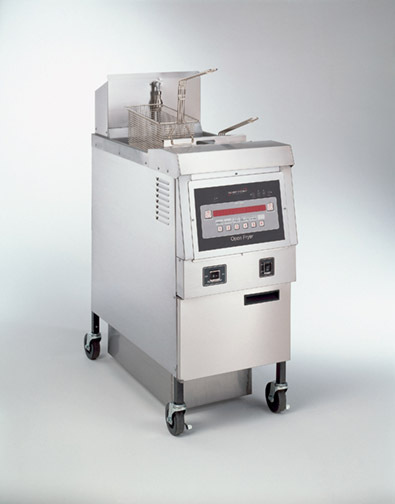 But we’ve also made the 320 Series efficient in a different way—by letting you select the size, design, and vat configuration that best matches your menu and volume. 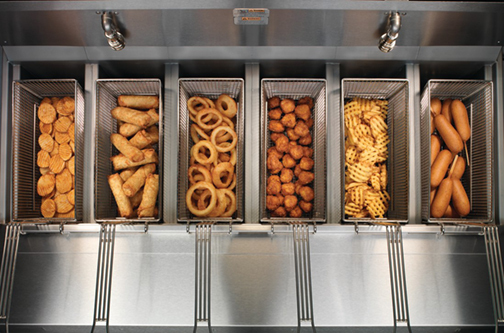 You get the exact fryer you need. 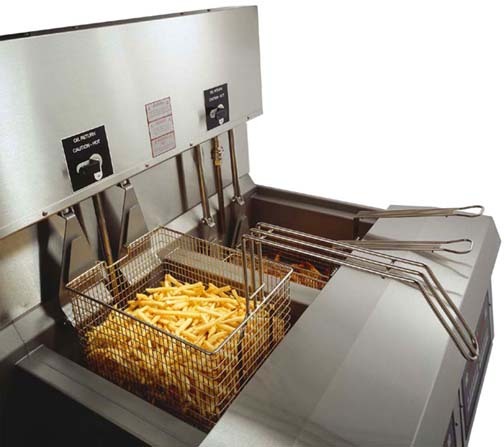 And the high-performance multi-well frying, easy programmable operation, fast temperature recovery, built-in filtration… all standard. 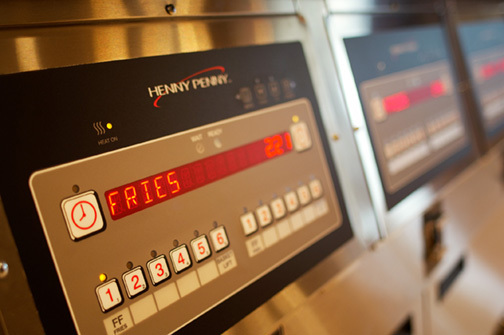 Discover how the 320 Series from Henny Penny can add long-term value to your foodservice operation with a full array of standard features and round-the-clock reliability. 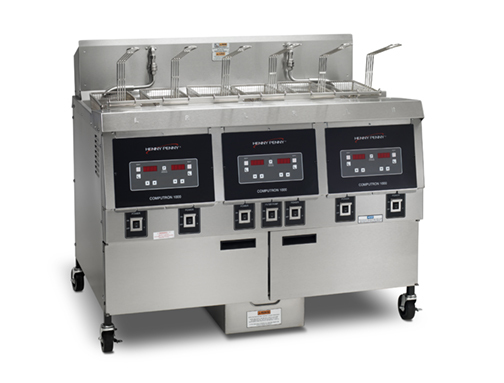 Electric models feature high-efficiency heating elements that save energy and generate fast temperature recovery. 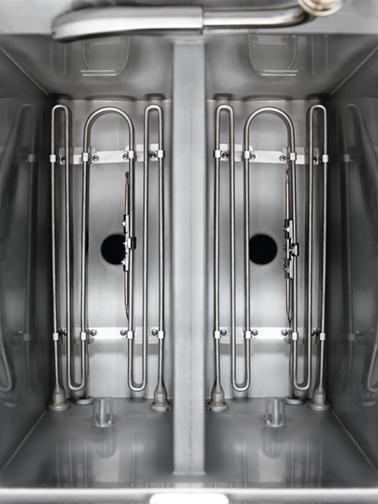 Gas models incorporate a high-reliability heat-exchange design with high-efficiency burners and solid-state ignition that saves energy and generates fast temperature recovery. Earns the ENERGY STAR® mark for energy efficiency. Choice of full vat, split vat or combination. Cold zone between heating elements helps extend oil life. Built-in filtration increases employee productivity. 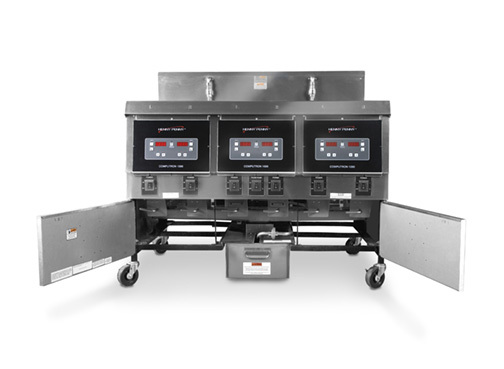 Computron 1000 (standard except auto-lift models) features programmable control, LED time/temp display and simple up/down arrows. 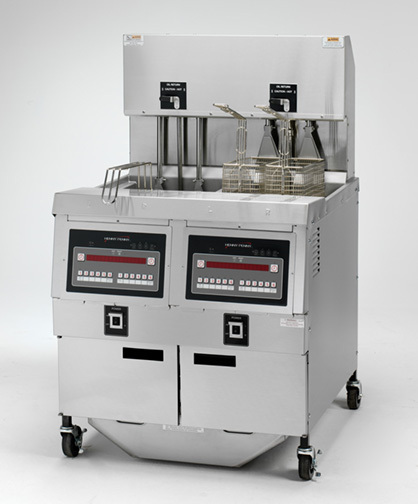 Computron 8000 (standard on auto-lift models, additional charge for other models) features 12 programmable cook cycles, idle/melt/cleanout modes, water detection alert, load compensation, proportional control, optional filter prompt, filter tracking and multiple language settings. Auto-lift models include a rugged direct drive lift mechanism built into the existing cabinet and powered by a quiet, low-voltage motor. Two lifters per well can be programmed to operate independently or together at the touch of a button. OIL CAPACITY 65 lbs. 50 lbs. 70 lbs. 70-90 lbs. WEIGHT 250 lbs. 190 lbs. 300 lbs. 226 lbs. OIL CAPACITY 65 lbs. 50 lbs. 80 lbs. 75-90 lbs. COOKING CAPACITY 72.2 lbs. / 1.4 hr. not available 107.1 lbs. / .9 hrs. – French Fries66.2 lbs. / 1.5 hrs. – Chicken 99.1 lbs. / .9 hrs. WEIGHT 295 lbs. 201 lbs. 255 lbs. 250 lbs.